Big Sandy 100J | READ all about it! Learn More at Big Sandy School Book Fair online. Check with your teacher to find out ways to enjoy the TumbleBook Library from your home! Use TumbleBook Cloud to read TONS of books from the comfort of your own home! 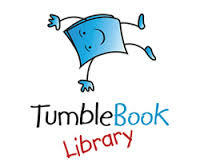 To receive instructions for access to our online TumbleBooks options, please enter your name and email below. This information is for sending you instructions only.